The first episode of the sixth season of regional television show “Vicinities” will premiere today. 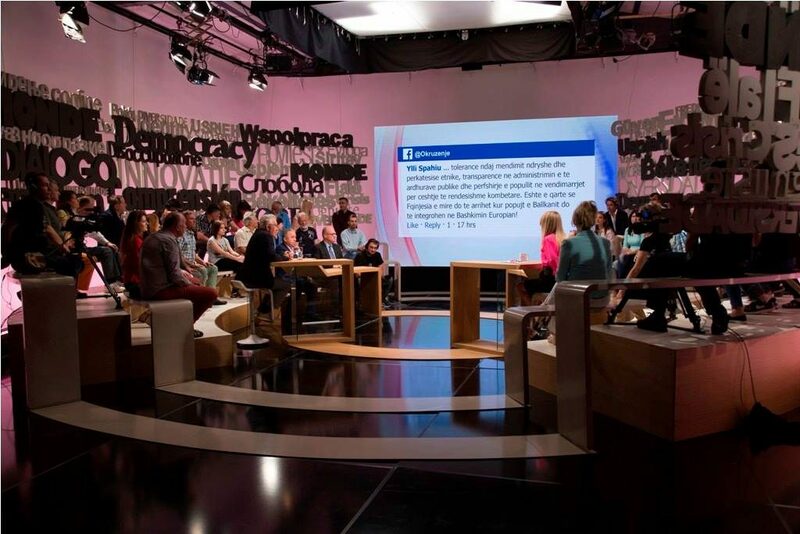 Twelve new episodes will address topics such as regional security threats, energy future of the Balkans, state of labour rights and obstacles to the development of entrepreneurship. Researchers, entrepreneurs, activists, columnists, journalists and the alumni of the European Fund for the Balkans in the studio will also discuss the issues of how much we have digitized, how sustainable are the existing pension insurance systems in the region and what is the perception and potential of the non-government organisations. “Vicinities” is a regional television project launched in 2012 by the European Fund for the Balkans and the Centre for Democracy and Reconciliation in Southeast Europe. Its goal is to foster reconciliation, to promote better understanding among people, to contribute to the freedom of expression and to the rooting of European values in the Balkans. The new episodes will be broadcasted on TV channels across the region.